Every May more than 1,100 cadets will graduate from the U.S. Military Academy in West Point, New York. And every year, family members and friends will rack their brains for the perfect graduation gift for their friend or loved one. Brewster Belt Company has you covered with hand-stitched needlepoint belts and wallets. Personalization is also available. Check out the original designs below…. Brewster Belt Company offers several West Point graduation gift options. If you order early enough, all gifts can be customized with a monogram or class year. All products are needlepointed by hand and made of top-quality materials such as real leather accents and brass buckles, so they can be enjoyed for years to come. 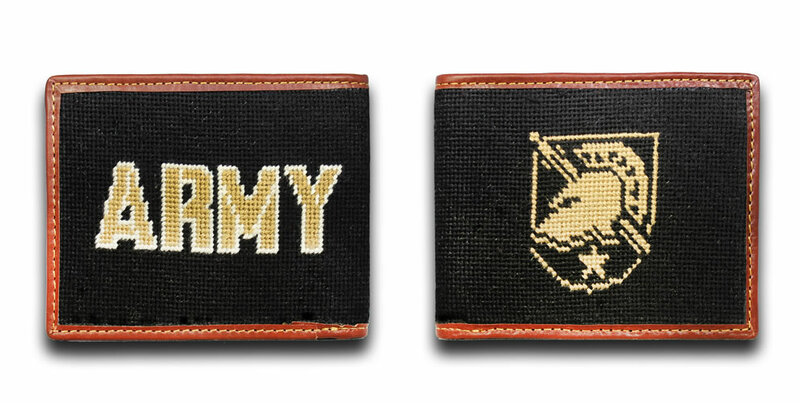 Brewster Belt Company’s officially-licensed West Point needlepoint belt, perfectly portrays the “soldier scholar ideal”. With its logo in black and gold, the sword represents the warrior ready for battle, and Athena’s helmet symbolizing wisdom. Perfect for the attending West Point student, graduate, or simply anyone who admires the rich history of this prestigious institution. Officially licensed and approved by the West Point United States Military Academy. West Point Academy’s campus is a national landmark with a rich history. 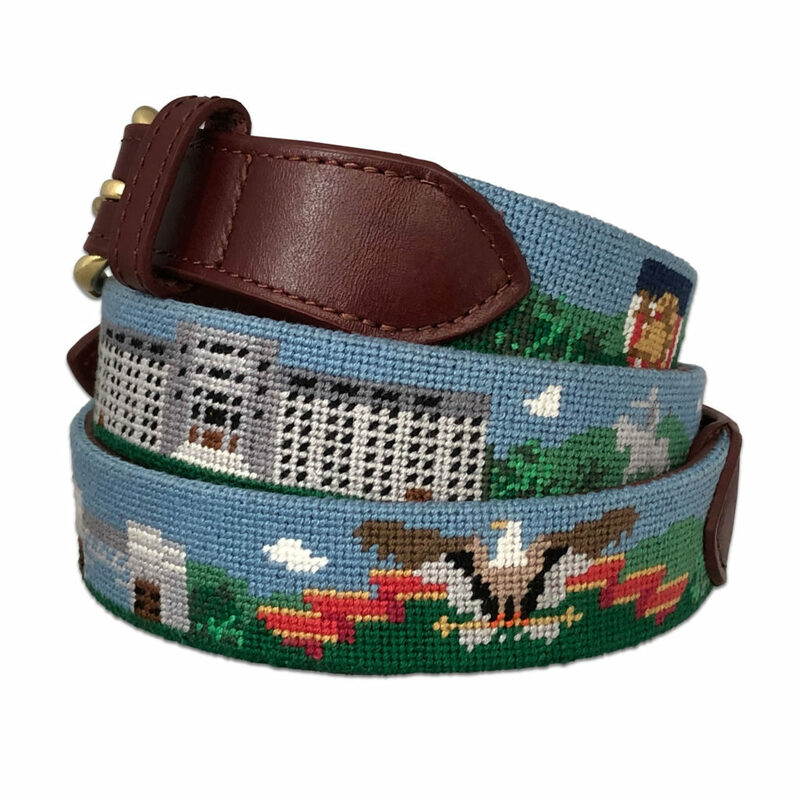 Our needlepoint belt represents this campus with images of: the West Point logo, Mitchie Stadium, the Cadet Chapel, Washington Hall, George Washington Statue, Jefferson Hall Library and Battle Monument overlooking Trophy Point on the Hudson. Officially licensed and approved by the USMA. West Point, the United States Military Academy, has produced soldier scholars for America, since 1802. This wallet portrays the “soldier scholar ideal” with its logo in black and gold; incorporating Athena’s helmet symbolizing wisdom, and the sword representing the warrior ready for battle. This wallet is perfect for anyone who admires the rich history of this institution. Officially licensed and approved by the United States Military Academy, West Point. All of our needlepoint belts and wallets are hand-stitched and it takes time for us to carefully stitch each product. 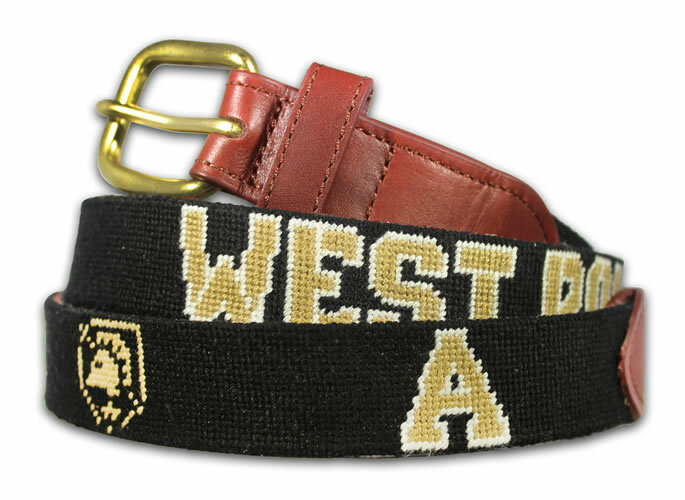 We stock some sizes of the black and gold West Point needlepoint belt, which are available for immediate delivery. For the West Point campus belt, customized versions of the black and gold belt and the Army wallet, please allow 7-12 weeks for customization. For customized or non-stocked versions of our West Point belts and wallets, please order by the end of February in order to receive your gift in time for graduation. Shop Army West Point belts and wallets now!